I was working in Vienna a few weeks ago, and I haven’t got round to uploading photos and putting them here. There’s plenty to come. 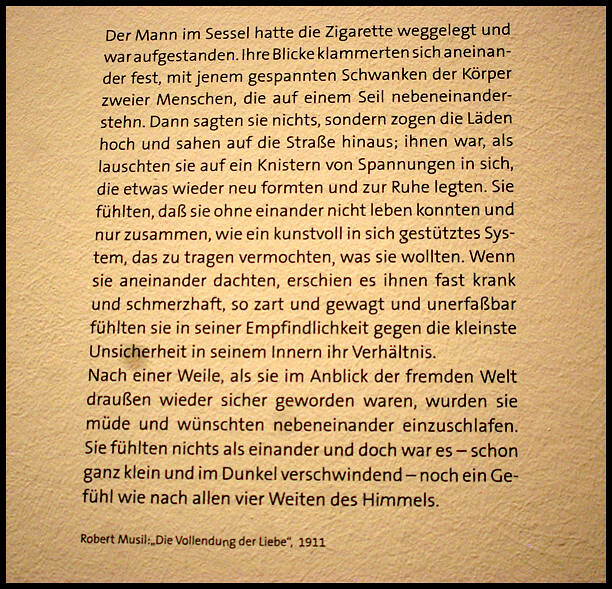 I went to as many art exhibits as I could in the week I was working in Vienna. I’ve never felt so spoilt by all the free entry in London. I think I spent about €40 overall just on museum entries. It was worth it to see some things in the flesh though. First up- the Leopold Museum. 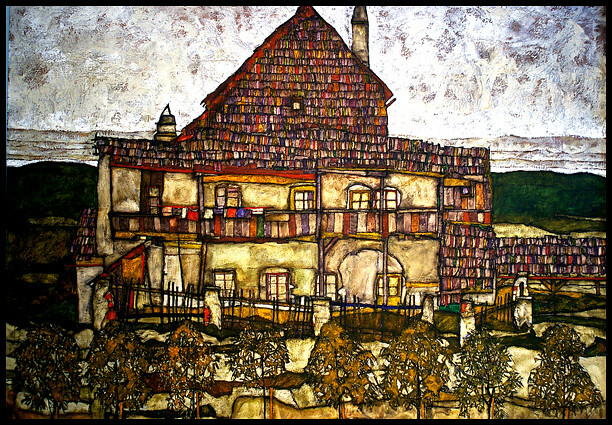 Home of Klimt & Schiele. Some of the famous paintings like the Kiss are in different museums in other countries tho. 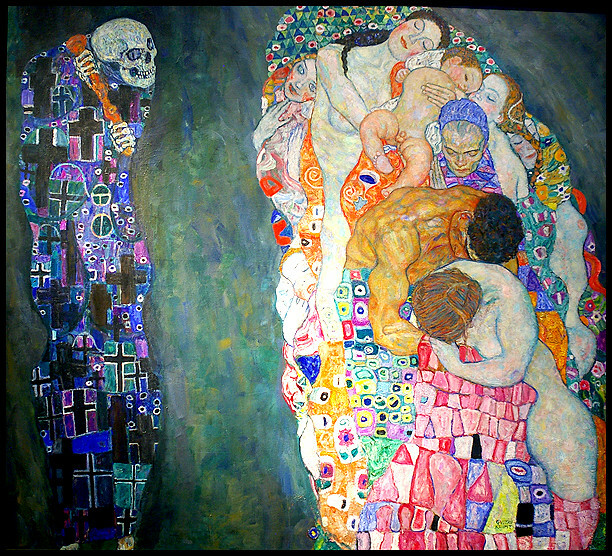 A Klimt- I sent postcards of this painting to a few friends. I like Death’s jazzy outfit. 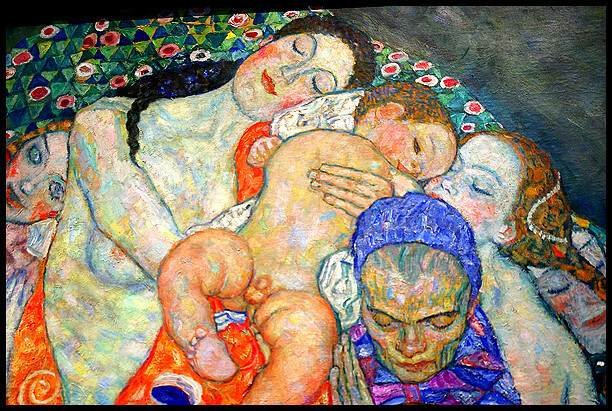 A closeup of the life side of the painting. 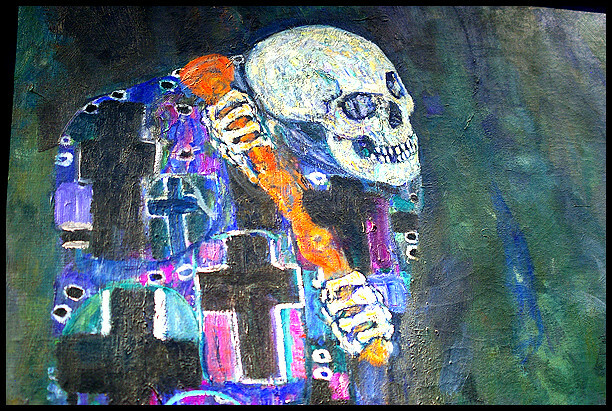 A closeup of Death’s sneaky expression. 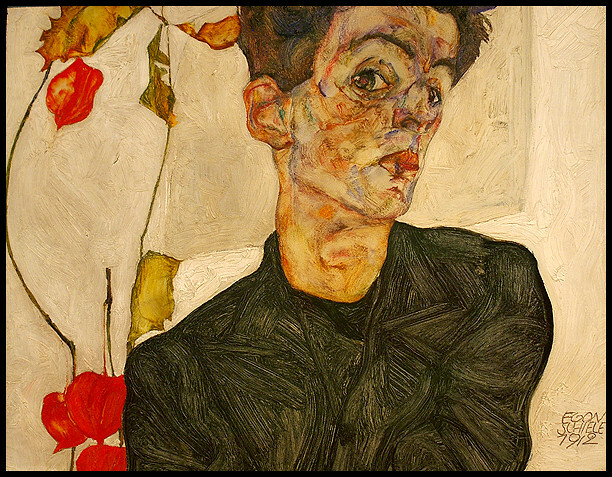 Schiele- Looking at reproductions in books I’d never realised how thick and impasto the paint is on the backgrounds of his portraits. The faces are painted with much smoother more subtle strokes. I like the contrast. 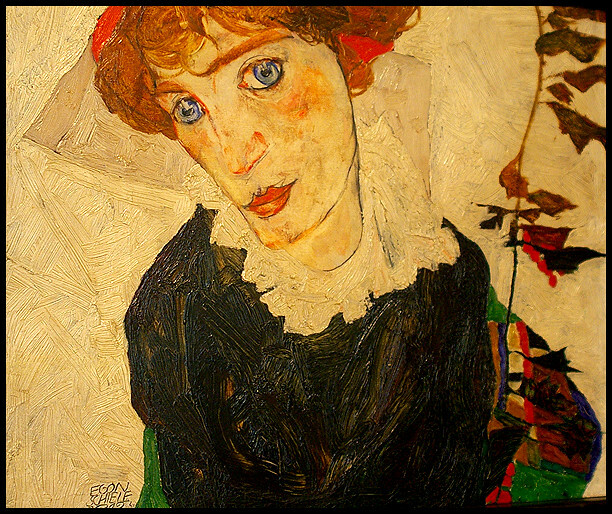 This painting of Schiele’s girlfriend Wally had only recently joined the museum, and they had a little party to celebrate the couple’s reunion. I wasn’t there that day though. 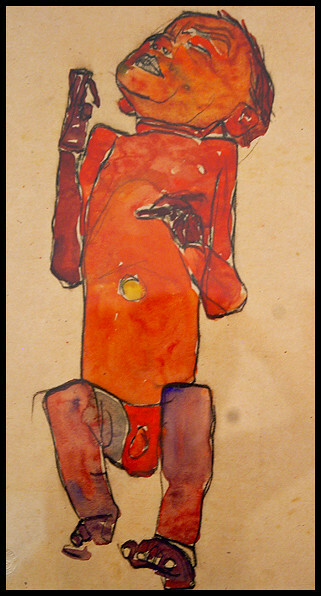 It hangs in the grand hall of the museum next to the first picture of Schiele I posted, with photos and bios of the couple around them. 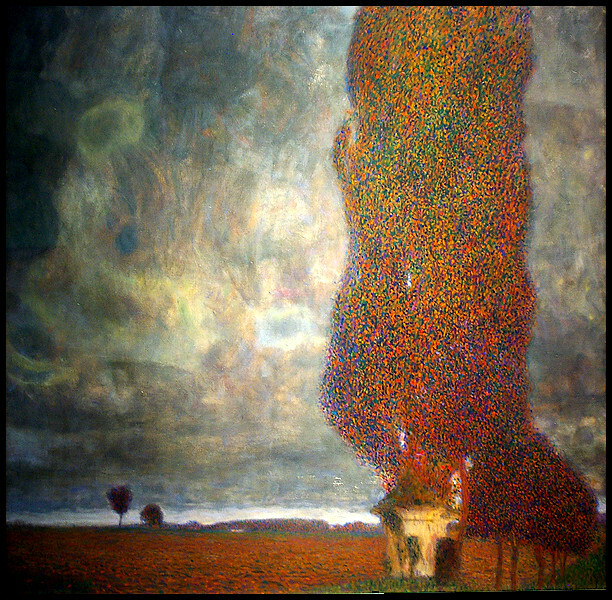 I never really liked this Klimt landscape in books. It doesn’t look so wonderful in a photo either. In real life, it’s really got something though. You can feel the atmospheric pressure rising. 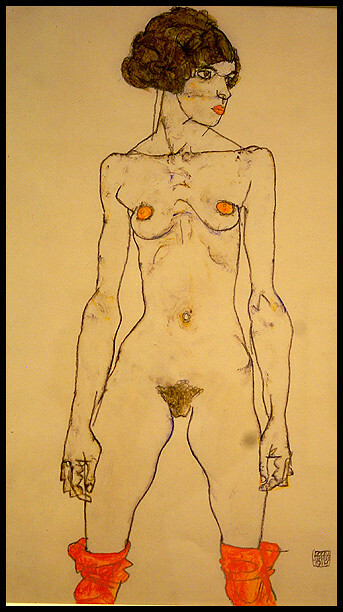 Schiele is all about the nakeds. This painting is MASSIVE in real life. Bigger than life-size. 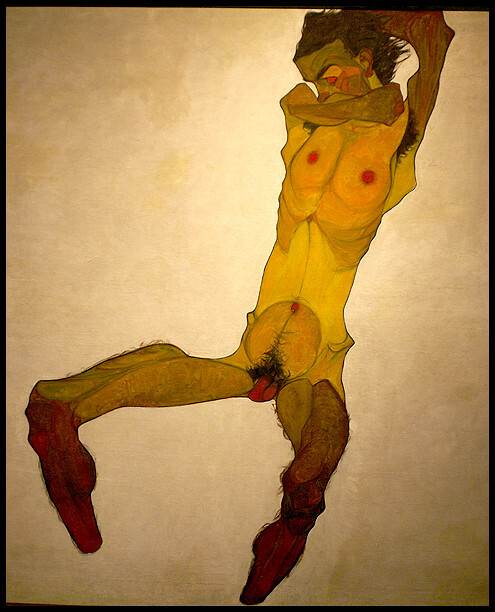 For some reason I’d never seen this Schiele painting before, but I love it. 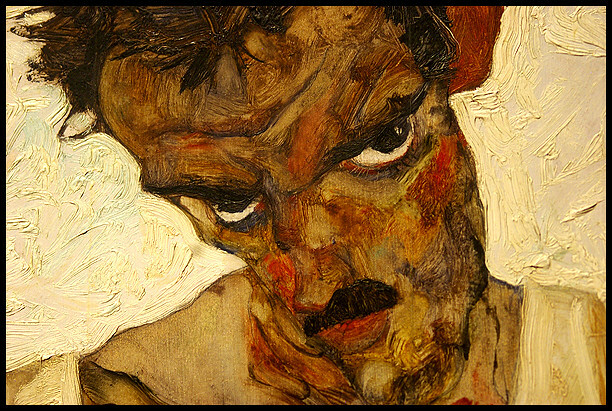 Oskar Kokoschka basically has the best name ever. 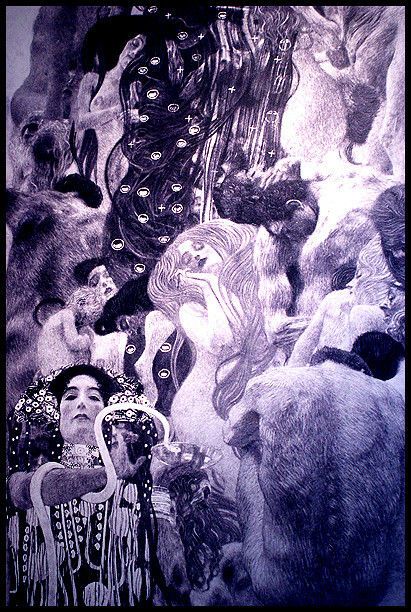 It’s a real pity this Klimt painting was burnt in WWII, and all there is left is this b&w photo. 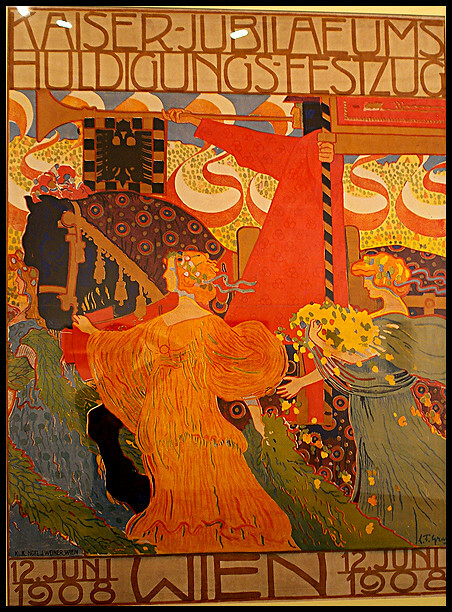 There was also a good exhibition about applied arts in the Wiener Secession. 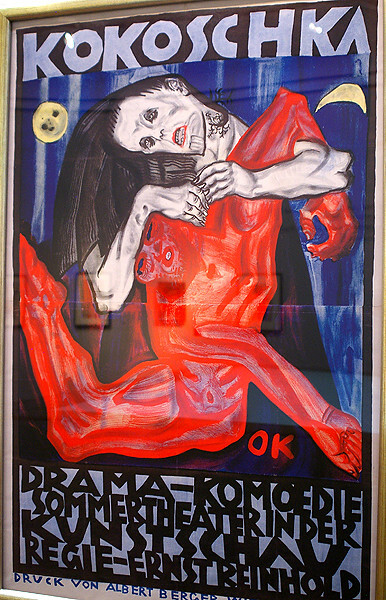 I particularly liked this poster. 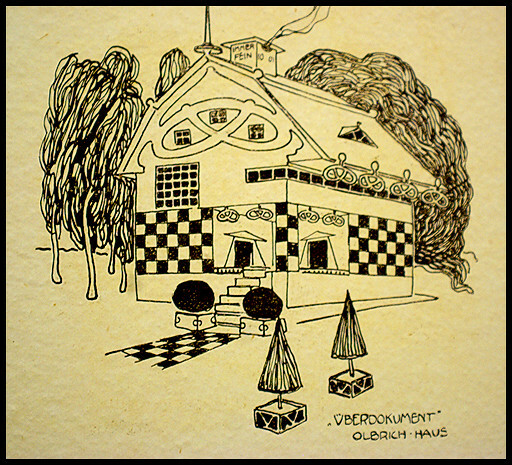 This is a pisstake of an Art Nouveau house. Check out the pretzels. 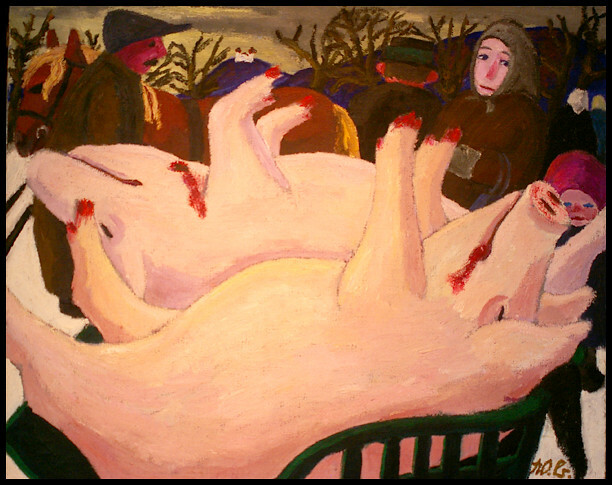 There were some paintings by artist I’d never heard of before too. This is by Otto Schatz. It’s called Die Hoffnung- the hope. 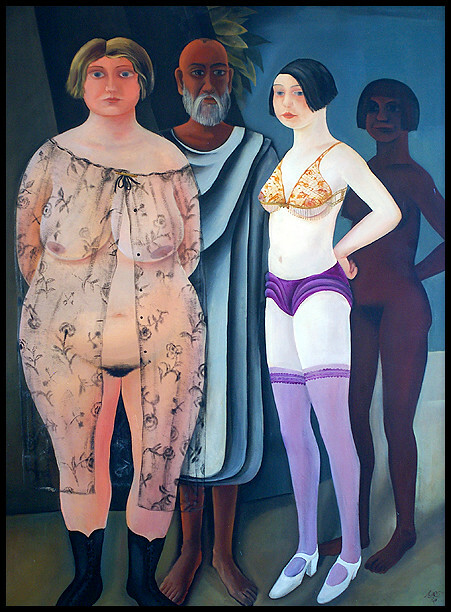 I like the amount of different stories you can construe from the painting. 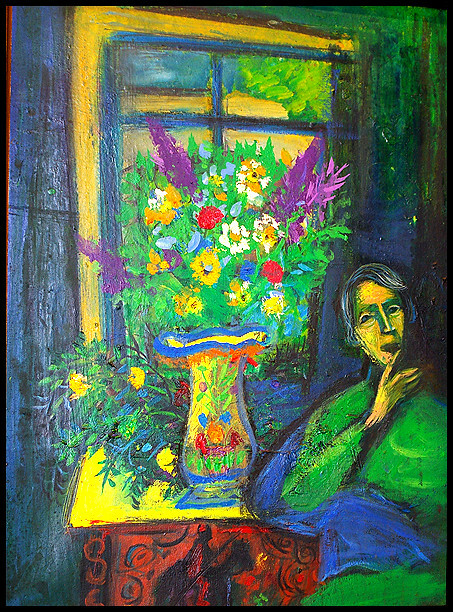 Leopold Birstinger- Woman with Bouquet. I really liked the use of colour in this one. They seem to glow out from the background. 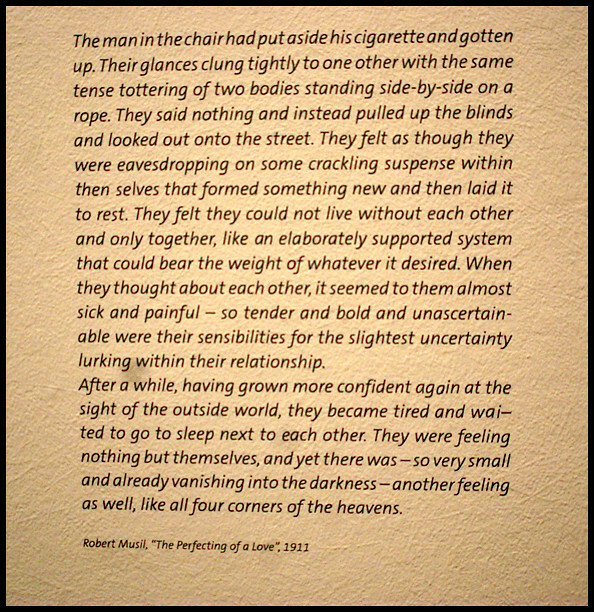 This extract from a book was printed on one of the walls. It appealed to me at the time. I was in a romantic mood, the sun was shining, I was in Vienna, and full of delicious cake. Sadly there is no romance going on in my life these days.